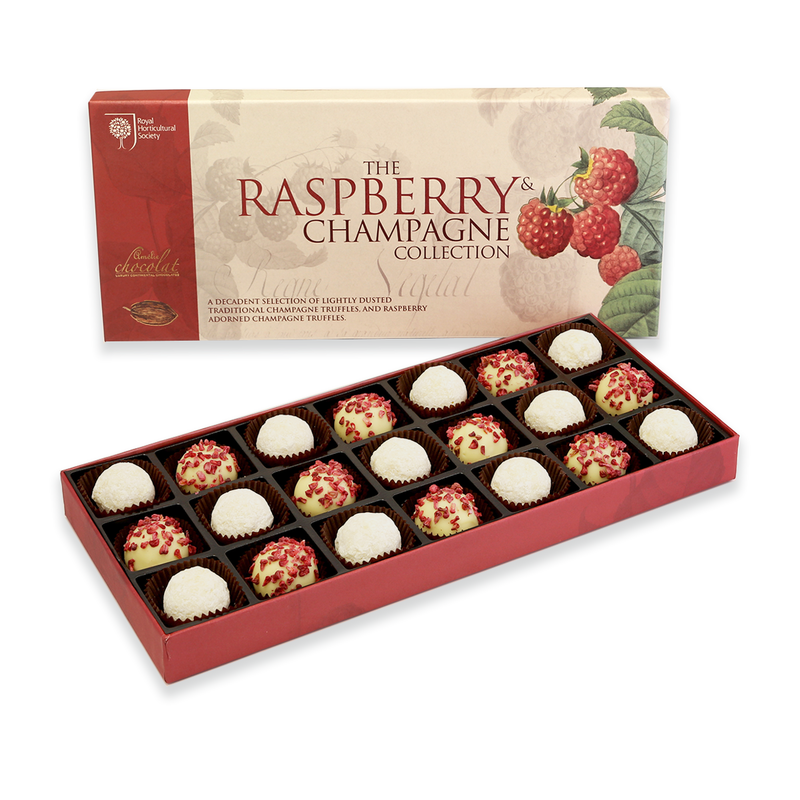 Click the button below to add the RHS Raspberry & Champagne Collection to your wish list. A true indulgence and wonderful gift, this delicious assortment is presented as part of our RHS Chocolates by Nature range. It includes lightly dusted traditional Marc de Champagne ganache truffles, and velvety smooth Pink Champagne truffles studded with shards of freeze dried raspberries. Made with the finest fresh ingredients, this selection of twenty one exquisite truffles truly showcases the expertise of our superb chocolatiers. Finished with your personalised message card, and presented in a classic rigid gift box designed using exclusive artwork from the world renowned RHS Lindley Library artwork collection.